Farmington Roofing Company | Farmington Roofing Quote | Farmington Roof Company | Farmington Roof QuoteMcGlinch & Sons CO. Since 1917, McGlinch & Sons has been the leaders in the roofing industry. We provide outstanding roof services to the Greater Metro Detroit Area. If you need a new roof quote for roof repairs or roof installation, McGlinch offers the best service. Our roofing quotes are thorough and competitive. We promise you won’t find a better roof company in the area. We are a reliable roofing company, and we offer affordable pricing that meets everyone’s budget. If you get your roof quote from McGlinch, you can be confident that it is precise and competitive. We have more than 100 years of experience as the number one roofing company near Farmington. 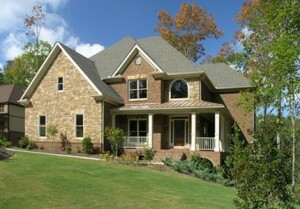 McGlinch is a certified Master Elite GAF Roofing Contractor, and we are in the top 2% of all roofing companies. If you are in the Farmington area and looking for a roofing company that takes pride in their work and will give you a fair and honest roofing quote, McGlinch should be your choice! Farmington is a city in Oakland County, Michigan. It is one of the northern suburbs of Detroit with a population was 10,372. Farmington is a place with small-town charm that delivers significant opportunities to all that call it home. Farmington residents know that we are a reputable roof company that values and appreciates our customers. McGlinch would love the opportunity to exceed your expectations with our excellent craftsmanship and extraordinary customer service. McGlinch customers know that our work is top notch and we are devoted to every roofing job. McGlinch is the best roofing company in the area, and our roofing quotes are accurate and affordable. We are a family owned and operated roof company that has over 100 years of experience. We supply our customers with top of the line roofing materials. McGlinch offers a 25-year labor warranty on all roof replacements and a lifetime warranty on all roofing shingles. Call McGlinch & Sons at (313) 278-2777 for your free roofing quote!